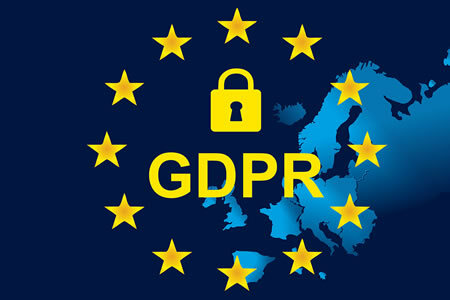 Complying with all of the requirements of the EU General Data Protection Regulation can be a complicated task, which is why many companies and organizations are choosing to use GDPR compliance software to help them achieve compliance and eliminate some of the administrative burden. The complexity of meeting all requirements of GDPR, and the potential penalties for compliance failures, makes a software solution an attractive option. GDPR was introduced to improve privacy protections for EU citizens. The legislation requires EU citizens to be informed about the types of personal data collected by organizations, how that information is used, and affords them additional rights and gives them greater control over their personal information. GDPR gives consumers a right to access personal data collected, held, or processed, a right to correct information that is incorrect, and also gives them the right to be forgotten and have all personal data stored or used by a company/individual to be deleted on request. GDPR requires protections to be implemented to keep personal information private and confidential, no matter where information is stored. There are strict requirements for reporting data breaches (within 72 hours of discovery) and notifying consumers whose personal information has been compromised. GDPR applies to all organizations, regardless of their location, if they do business in the EU or with EU citizens or if they process personal data that originates in the EU. The failure to comply with GDPR can attract significant penalties. The maximum financial penalty for a GDPR violation is €20,000,000 ($22.3 million) or 4% of global annual turnover, whichever is greater. Compliance with GDPR has been mandatory since May 25, 2018. While the deadline for compliance has passed, in the event of a complaint being filed or data breach being experienced, EU supervisory authorities will need to see that you/your company have at least made efforts to comply with GDPR. What is GDPR Compliance Software? There are many different GDPR compliance software solutions to help businesses and individuals comply with the requirements of GDPR and stay compliant. Many companies offer cloud-based software which includes a GDPR compliance checklist covering all the requirements of GDPR, often in questionnaire form. After completing the assessment the software provides a report of where you/your company stands with respect to compliance and the actions that need to be taken immediately to ensure compliance and avoid financial penalties. Help is also provided on meeting each of the standards laid down in GDPR. Software solutions often allow tasks to be allocated to individuals within the organization allowing you to keep track of your GDPR compliance project. Many solutions also include data management capabilities to help businesses keep track of personal data, requests for access, records of processing activities, and data breaches. GDPR compliance software solutions usually include a set of downloadable policies and procedures that can be customized to meet the needs of the business and satisfy GDPR documentation requirements. In short, the software guides you through the process of achieving compliance. Software solutions help to ease the burden of compliance, but compliance will still require a considerable amount of work. There are various free GDPR compliance tools that can help you comply with specific aspects of GDPR, from website cookies and privacy policies to more comprehensive tools. For many SMBs and certainly larger organizations, a comprehensive software solution is likely to be the best choice but that will come at a cost for most businesses. Some GDPR compliance software solutions support customization and allow a degree of tailoring to ensure they meet your operational needs. Others are tailored for specific types and sizes of organizations, as the compliance requirements for large and small businesses differ. It is therefore important to choose a solution that reflects the size of your business, the types of personal data you store or process, and the extent to which you work with EU citizens and their data. It is strongly recommended to take advantage of any free trial offered so you can assess the suitability of a solution before committing to a purchase.